In a perfect world, Twitter’s Head of Infrastructure and Operations Mazdak Hashemi can walk over to a data center and kick out a power cable to a server, and the service will continue to run fine. He’s not going to do that just yet, but he and his team have been devising ways to simulate those sorts of failures within Twitter and ensure that the service remains up and running. The engineering team has basically devised a series of tests that, in a controlled way, inject failures into the system to simulate those kinds of events. The goal is to make sure that everyone is prepared in the case that those server racks go offline, or someone accidentally kicks a power cable and sends a whole node offline. Twitter will inject small failures into the service to test how it responds within production and infrastructure systems. It monitors the health of the system for Twitter’s services to ensure there are no site-wide incidents and rolls back those failure conditions, and there are a series of tools that keep the team notified on an ongoing basis throughout the test. The goal is to monitor for things like power loss to the company’s server clusters, or network loss when pushing new configurations. All this together is part of a series of tools the company has implemented to make sure that Twitter, in any scenario, does’t curl up into a ball and start crying. The Fail Whale used to be an ever-present part of the company’s service, but today much of the company’s efforts are centered around ensuring that it remains dead. That’s not to say that’s the only thing that the testing involves. There’s always an opportunity to walk over to a server rack and yank out a few network cables to test that the service continues to run in the case of a rack going offline. 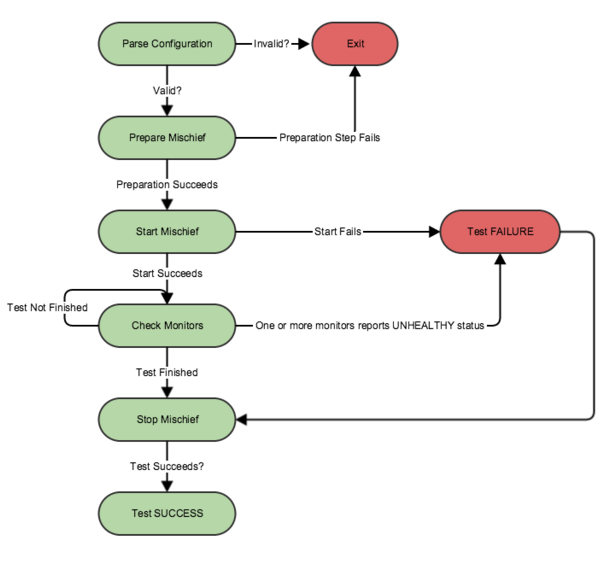 The goal of all these tests is to ensure that each team — which includes a site reliability engineer — is prepared for a real-world disaster scenario, no matter what scale.